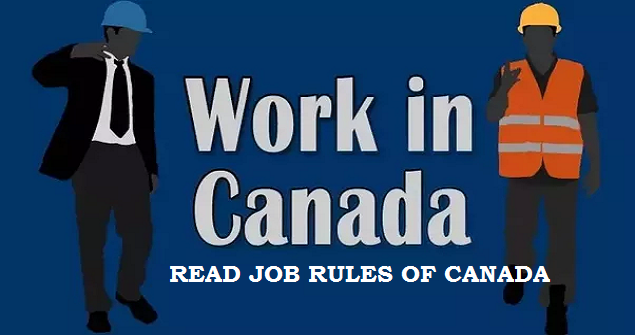 Job Rules of Canada. 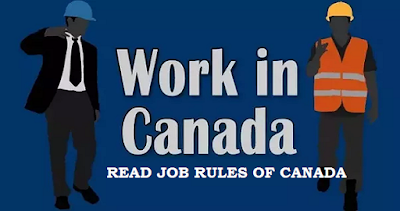 Canada like most other advanced countries has job rules that both employers and employees are legally obliged to follow. These job rules have been in place for a variety of reasons over the years, and are approved by the federal and provincial governments. Labor and employment laws set out the rights as well as the obligations that companies and workers should operate by. The intention of such rules is to be fair as possible to companies, consumers, and workers. These job rules can change, and it is the responsibility of companies and workers to keep track of any such changes and to make any legally required changes as quickly as they can. To begin with all employers have to make sure that they fully comply with the job rules of Canada. Failure to do so could result in their prosecution by the federal government or relevant provincial governments, not to mention leave them prone to legal action by employees or former employees. Companies need to make sure that they only employ people that are legally allowed to work in the country. Canadian nationals need to show companies their passports, birth certificates or id cards to show that are citizens and have the right to work. For foreign nationals wanting to work in Canada the onus is on the worker to prove to the companies they have applied for that they can be employed in the country. As the vast majority of foreign nationals have to apply for visas and work permits to visit and work in Canada, employers have to check these documents and passports and can only employ foreigners that are allowed to work in Canada. Indeed companies may have to help potential workers with applying for work permits or visas before those individuals can enter the country. The rules are different for Americans and Mexicans wanting to work in Canada, due to NAFTA membership. Employers have to make sure that they adhere to other job rules as well. For example they must recruit staff within the guidelines of anti-discrimination and equality legislation. If they do not stick to these practices then they could face prosecution from the government, be taken to an industrial tribunal, or risk being sued. Companies if in doubt of what they have to do, should seek advice from relevant government bodies, trade unions, or legal experts to make sure they do not inadvertently do anything wrong. Companies also have to ensure that they have work places that meet fire, health and safety regulations in full. Work places that do not meet these regulations can be shut down until they are deemed to be safe, and most companies cannot afford to closed even for a few days. Employers also have to make sure that they pay workers at minimum wage levels, and pay all taxes and pensions that they legally supposed to. In many respects employers have less job rules to worry about. Before they are offered employment they need to produce documents and information for their employers. For example, they need to supply relevant id such as their id card, driving license, or passport. Foreign nationals need to provide their passports and all visas or work permits before companies can employ them. Employees also need to provide tax references, social security references, and insurance details so that their employers can pay the correct taxes and other deductions for them. When employees start a new job they should be given instructions about fire regulations plus health and safety guidance. Workers need to know these rules for their own safety, and they legally liable as individuals if their company asks them to do anything illegal.